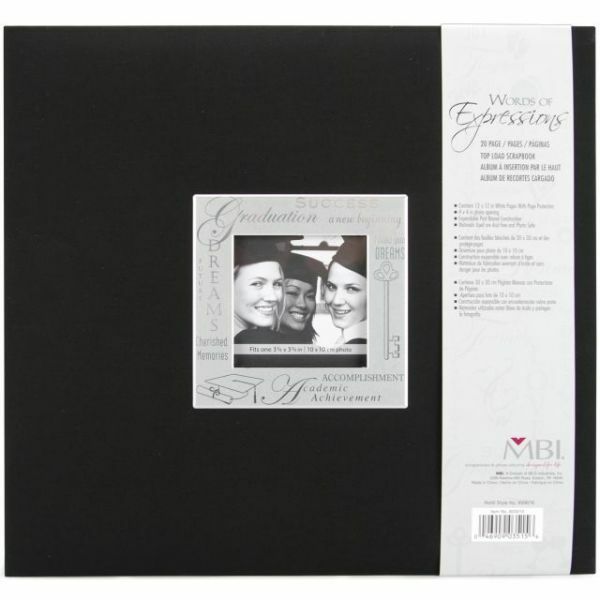 Expressions Post Bound Album 12"X12" - MBI-Expressions Postbound Album. Use this album to proudly display all of your memories of your high school or college years and there is even space for a 4x4 inch photo of you in the window on the front cover! It will be a great item to display at your graduation party. This package contains one 13x14x1-1/4 inch postbound album and ten 12x12 inch top loading page protectors. Color: Black. Imported.